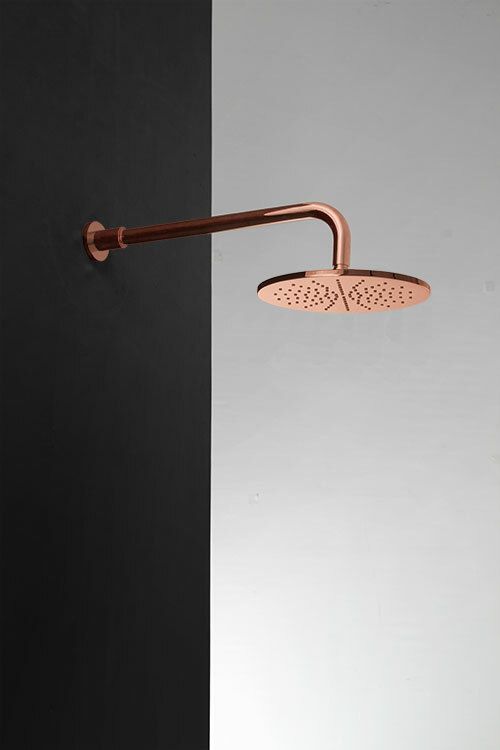 A brand new contemporary tap and shower fittings collection styled in the UK and manufactured in Europe. 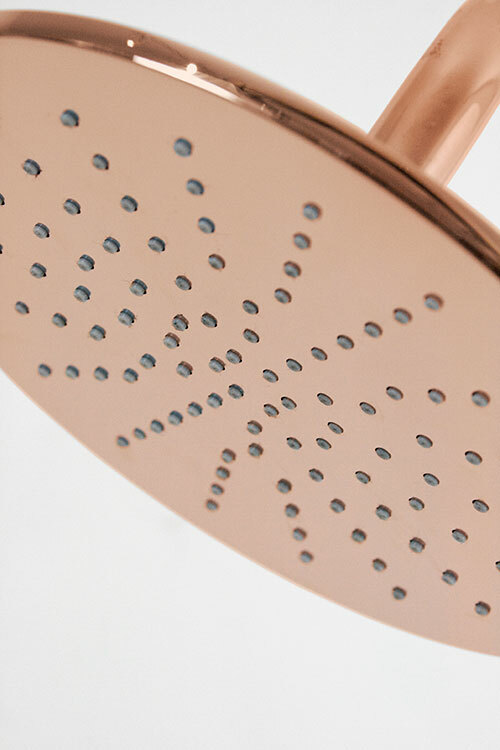 Uniquely finished in a copper plating, this copper shower head gives an exclusive and unique design theme to high quality bathroom design. 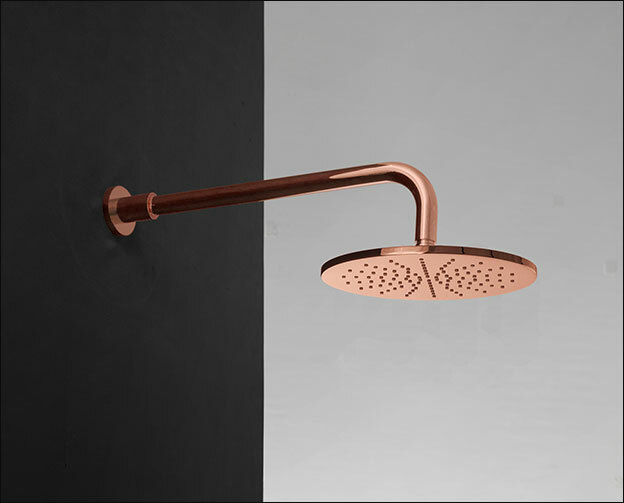 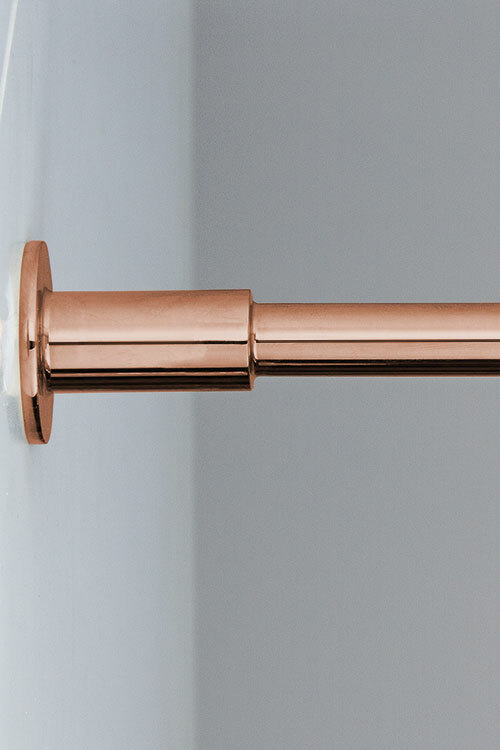  Part of exclusive copper range. 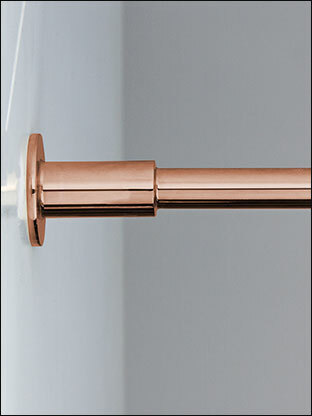  Gloss with light brushing finish. 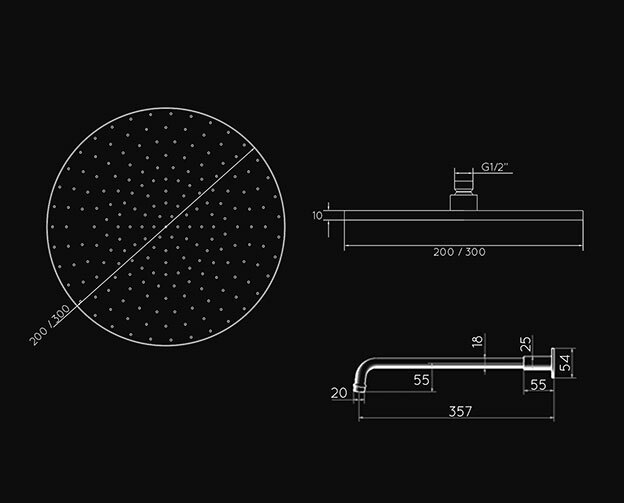 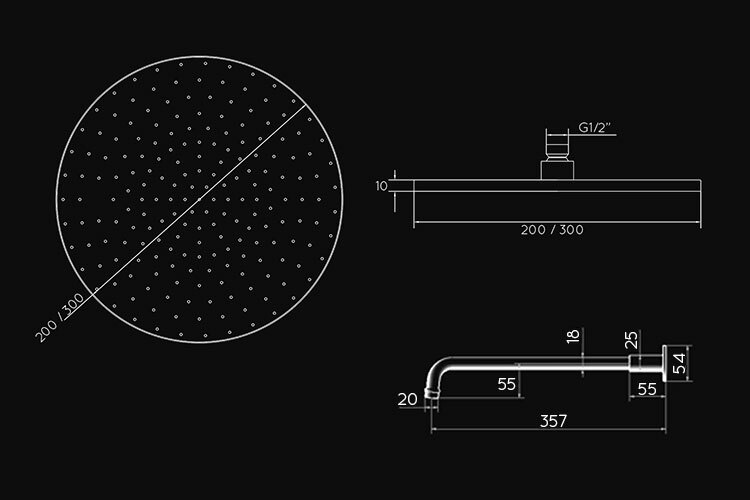  200mm & 300mm diameters. 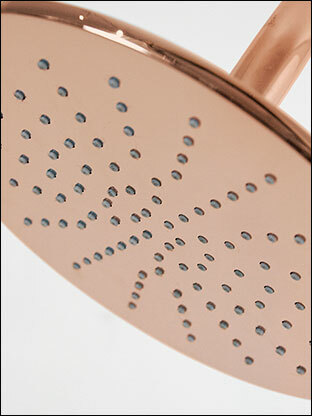  Luxury fixed shower head.